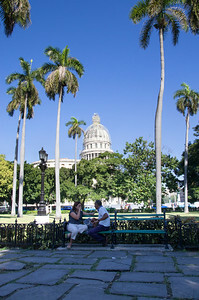 Resembling the U.S. Capitol Building to some degree, the Capitolio Nacional Cuba (Cuba Capitol Building), is one of the city's signature edifices. 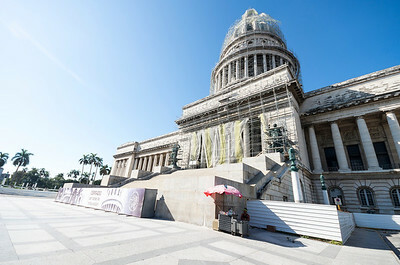 Only, interestingly enough, the Capitolio Nacional is actually larger, taller and much richer in detail, the work was initiated by Cuba's US-backed dictator Gerardo Machado in 1926 and took 5000 workers three years, two months and 20 days to build at a cost of US$17 million. 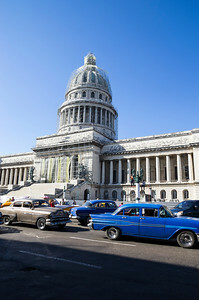 Prior to the Cuban Revolution of 1959, the Cuban Congress was housed in the building. 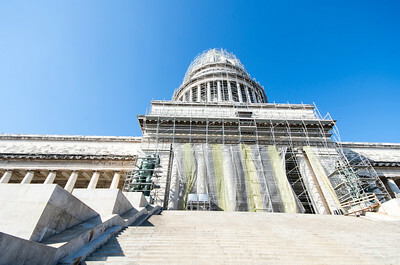 When the Communist Regime abolished and disbanded the Congress in 1959, the building lost its purpose as the House of the People. 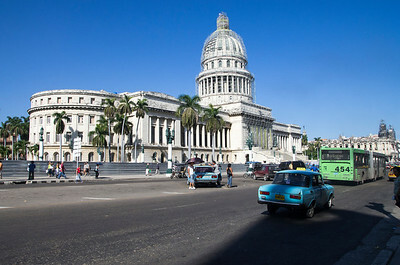 Later it ended up as the headquarters of the Ministry of Science, Technology and the Environment. The main floor (which is on the first storey) is open to visitors and many of the rooms are used to host conferences and meetings. 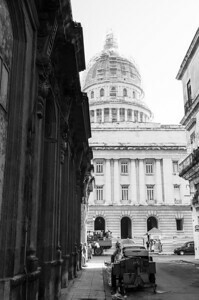 Inside the Capitolio and under the beautiful cupola is the elegant and aristocratic beauty of the Statue of the Republic (La Estatua de la República). The statue was cast in bronze in Rome. 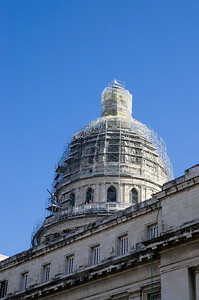 Towering an entire 49 feet in height, covered in 22 carat gold and weighing some 49 tons. It is the third largest indoor statue in the world. 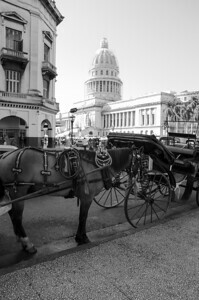 The rising stone cupola of this capital of Cuba icon has a steel frame to support it which was actually made in the United States. 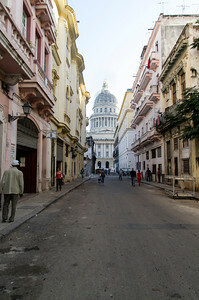 This impressive dome tops out at nearly 91 metres, which made it the tallest building in Havana, until the 1950s arrival of the José Martí Memorial. 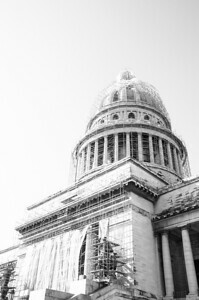 Also curious, is the fact that one of the building's main architects, Eugenio Raynieri, claimed that the Panthéon in Paris was his inspiration for the cupola of the Capitolio Nacional.